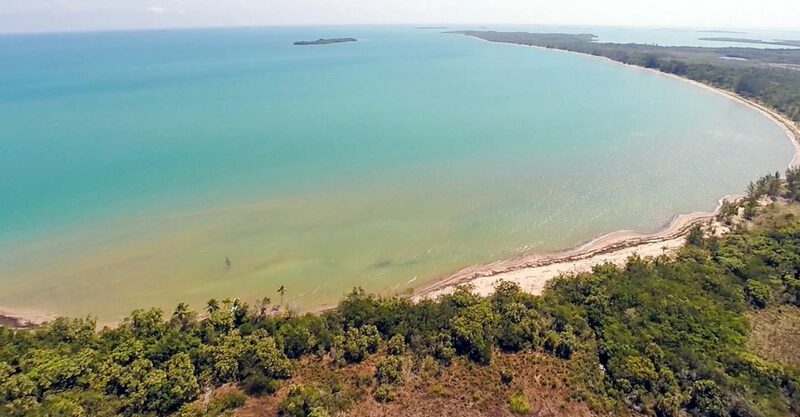 2,213 acre pristine beachfront development site for sale in Belize along 8km of breathtaking beach near Punta Negra in Toledo District. 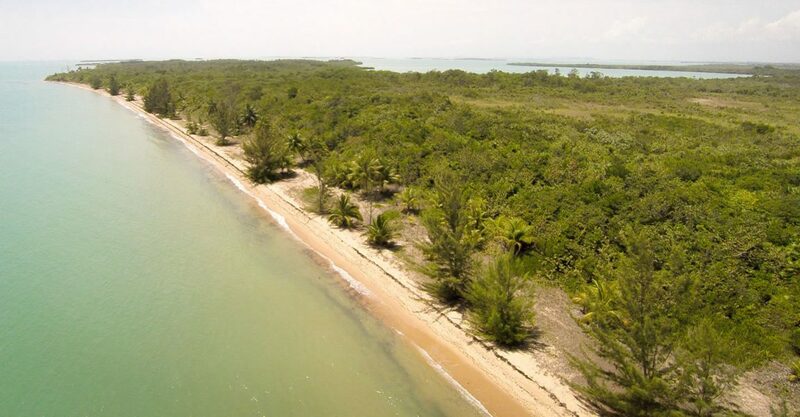 Situated 10 km south of Monkey River Village adjacent to Punta Negra Village in Toledo District in the south of the country, this exceptional parcel of vacant beachfront land for sale in Belize represents a unique development opportunity in a pristine setting. 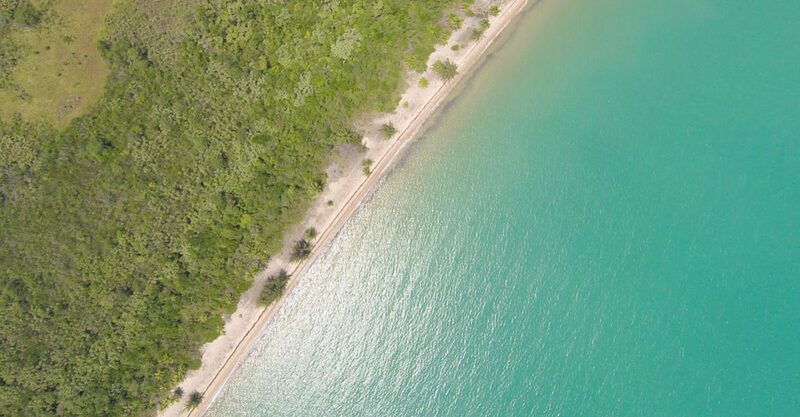 Spanning 2,213 acres (1,080 hectares of prime land plus a 250 hectare inland lake naturally protected from hurricanes), the parcel features 8km of outstandingly beautiful beach front along one of the most beautiful beaches in Belize with incomparable views of reefs and untouched cayes. 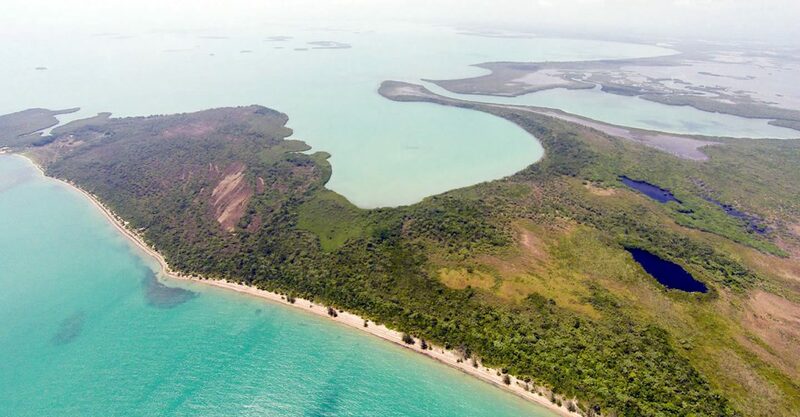 The parcel occupies a peninsula bounded to the east by the Caribbean Sea and surrounded to the north and west by the 18,000 hectare Paynes Creek National Park and to the south and east by the 40,500 hectare Port Honduras Marine Reserve. With government support for development in the area, no zoning law and height restrictions and a natural deep water marina, the site would be ideal for the development of an ultra-exclusive destination reserved for the fortunate few. As a blank canvas, the site could be developed in a myriad of ways, for example including ultra-luxury residences, eco resort, marina, wellness center, fishing lodge and so on. With such a large parcel of spectacular land surrounded by a national park and marine reserve, there is plenty of scope to set aside a very large proportion of the land for conservation purposes which would only enhance the appeal of the destination. The site is currently accessible from the water and could be made accessible via air and road. 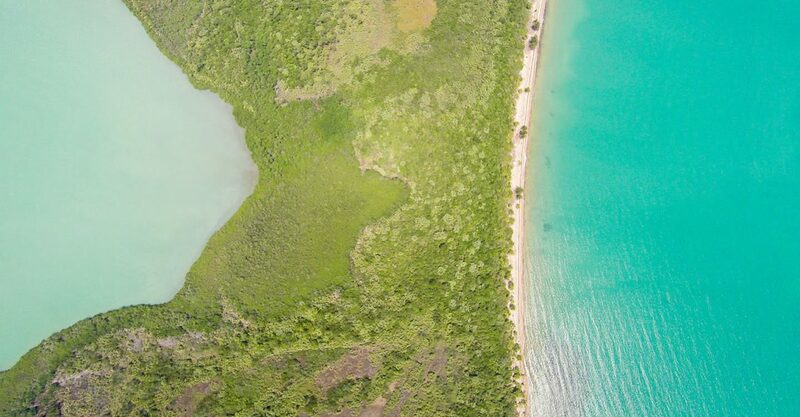 The site would be just a 45 minute flight from Belize City – 2 domestic airlines would connect the site to their airstrip network. Alternatively the site could be reached by car. 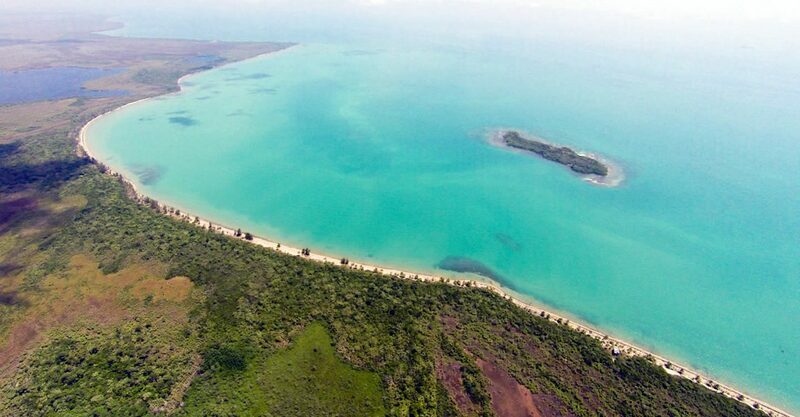 The area is approximately 3 hours drive from Belize City – a 15 km road would need to be built to connect the beachfront with the national highway. Only Jaguar reserve in the world.